BSN Sports started out in 1972 selling tennis nets out of the back of a car. A lot has changed since then, as it now partners with some of the biggest names in the sports business like Nike, Under Armour and New Balance and is the largest Lacrosse Team Dealer in the country. However, BSN Sports still operates today on the same principle that it did when it started selling tennis nets. It is a principle that those in the lacrosse world can understand better than any sport — community. BSN Sports’ friendly staff make it easy to purchase uniforms, equipment, spirit wear and anything else your athletic program needs. It removes the hassle that can come with all of the logistics that go along with the planning associated with teams, so that you can then focus on what really matters — impacting lives on the field. 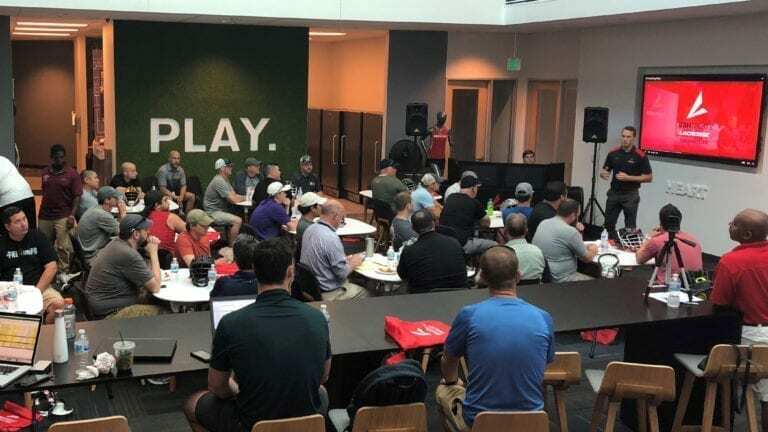 With over 1,000 sales professionals located across the country and a team of Lacrosse Experts in Dallas at their HQ, BSN Sports has been committed to the community. A member of their staff is always just a phone call or short drive away. That is why BSN Sports hosts BSN Coaching Clinics. These clinics are designed with the community in mind. These coaching clinics are coaching education events hosted around the country, and offered 100 percent free of charge. BSN Sports hosts these clinics to help elevate the game in your community with brand ambassadors on their staff who also serve as experienced clinicians. They work within their networks of coaches and athletes to provide well-known and respected speakers to present on a wide variety of topics at their events. These BSN staff members include professional lacrosse players, providing a wealth of knowledge and resources for coaches and athletes. 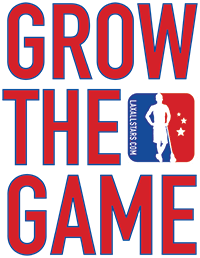 BSN Sports utilizes their coaching clinics and brand ambassadors to be able to give back to the sport of lacrosse, which we hope will help to grow the game. Professional lacrosse player Joel White, BSN Sports’ Lacrosse National Brand Manager, travels to these clinics and attests firsthand to the mission of BSN Sports, ‘The Heart of the Game’. On top of all that, BSN offers a best price guarantee on everything that they sell and they sell everything from Lacrosse Goals to Nike and UA uniforms and apparel, to Nacho Cheese for the concession stand, seriously. Please visit the BSN Sports website by clicking here. LISTEN: Listen to BSN Sports Lacrosse National Brand Manager Joel White on the GameChanger podcast on the LaxAllStars Podcast Network here. The nation's leading factory-direct supplier of sports and physical education equipment.